Another incident in which a law officer is confronted by an armed man and shoots before he himself is shot. It happened Thursday night along I-5 in Linn County, and the Oregon State Police are determining exactly what happened and how. 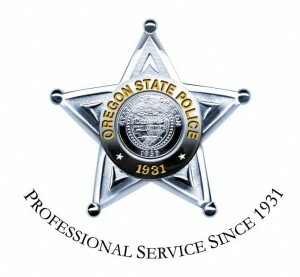 According to the initial account from the Oregon State Police, Salem police Detective Angus “Scott” Emmons and Special Agent Michael Bethers of the Oregon Department of Justice were on their way to an assignment in Lane County as part of an interagency investigation. Just before 8 Thursday night, near the Brownsville exit, a driver in a blue Toyota pickup passed them going very fast and driving erratically. Emmons flipped on the “emergency lights” on his unmarked vehicle, but the pickup failed to pull over. The OSP account did not make clear whether the emergency lights were flashing red and blue police lights or the regular emergency flashers every car has. It might have made a difference to the driver being pursued. In any case, OSP says the detective had called for assistance when the driver suddenly stopped and “confronted Detective Emmons while armed with a firearm.” Emmons shot and wounded the man. Then he, Bethers and arriving OSP troopers administered first aid until the man could be rushed to a hospital. He is expected to live.